Are you feeling overwhelmed by infertility or IVF? Are you suffering from stress, panic attacks or repetitive negative thinking? Would you like to learn a simple technique that can relieve the above? Emotional Freedom Technique EFT, is a type of meridian tapping that combines ancient Chinese acupressure and modern psychology with startling results. EFT allows you to tune into and express exactly how are you feeling in the moment and release those emotions and thought patterns that are not serving you. I started tapping on my beliefs about my body, about pregnancy, parenthood, on the fear I felt about doctors appointments, surgery and IVF. I started feeling differently about things that I thought were set in stone and gradually it felt like I stepped into the sunlight after spending a long time in a darkened room. Mindfulness and CBT have taught me to recognise that I am not my thinking and that it is the thoughts we have about situations not the situations themselves that cause us distress. (To read more on this subject see my blog Thoughts are not facts yet our thinking shapes our reality) EFT is the next piece of the puzzle to allow you to cut the ties to repetitive negative thinking. Research at Harvard Medical School has shown that stimulation of selected meridian acupoints decreases activity in the amygdala, hippocampus and other parts of the brain associated with fear.1 A separate study by researcher Dawson Church, Ph.D. looked at a different component of the fight or flight reaction: cortisol levels. In a randomised controlled trial Church found that EFT lowered cortisol levels.2 To read more about how our bodies react to stress see my blog Fight, Flight or Freeze and the Fox! 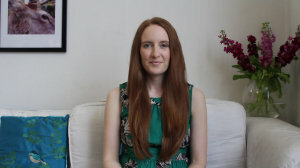 To receive a 20 minute video tutorial on this technique that talks you through the tapping points sign-up for your FREE fertility support pack. This video has been created to support and inspire and is not designed as a replacement for traditional medical or psychological attention. EFT can be learned and self-applied by almost anyone, however if you have a diagnosed psychiatric disorder or have any concerns you may want to consult the advice of your doctor before commencing. By tapping along with the video you agree to take full responsibility for your own well-being. All techniques shared are, to the best of my knowledge, safe to use whilst trying to conceive, going through fertility treatment and once pregnant and are the ones I use personally, however please do follow your intuition on what is right for you. It is usual with EFT to feel very relaxed and peaceful both during and afterwards. One client likened 10 minutes of EFT to an hours massage because she felt so chilled out afterwards! Our intention with EFT is to bring your body into relaxation response and leave you feeling calm and focused. It is not uncommon to have vivid dreams following EFT and to feel differently about the issues you tapped on. Keep yourself well hydrated during and following EFT (if you are doing IVF you will know all about that!) Occasionally you may experience heightened emotions while tapping and during the following days as EFT can be like stirring up the mud at the bottom of the pond. These issues and thoughts are already within you we are just stirring them up to bring them to the surface to release them once and for all. The best thing you can do is to tap on those feelings as they arise. If at any point you feel that the issues coming up for you are too overwhelming to deal with yourself then do contact me (or another qualified EFT practitioner) for a one-on-one session (over Skype or in central London UK) as working with a therapist can allow you to feel more secure to bring up and work with painful issues. I have been using EFT personally and with clients with stunning results. The biggest shifts for me have been clearing my fears of miscarriage and childbirth. I am a qualified EFT practitioner and a member of the AAMET (Association the advancement of meridian energy therapies). Contact me for your free 30 minute consultation. If you would like to really explore this technique and use EFT for coping with infertility and start your own mindfulness practice then check out my 10 week online course. 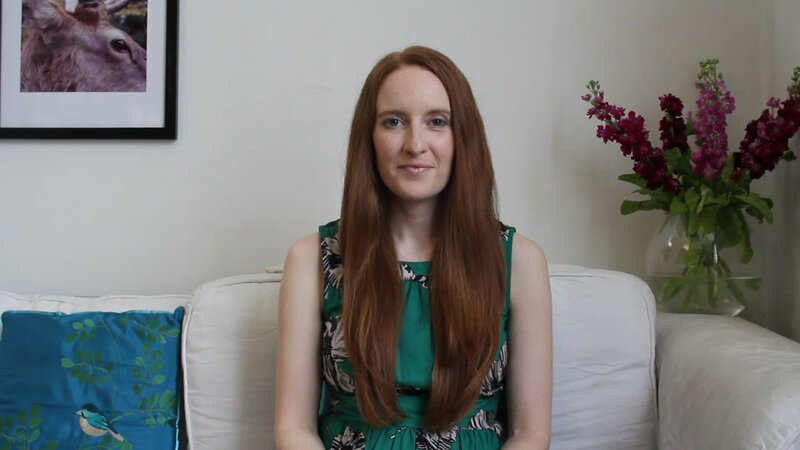 Throughout the course we do a focused EFT session each week working on subjects such as anxiety, jealousy, fear of miscarriage and childbirth and I will teach you how to create your own tapping scripts to supercharge your own personal development and well-being. See here for full details and next course. 1. J. Fang et al. “. The salient characteristics of the central effects of acupuncture needling: Olympic and Paralympic Nerocortical network modulation.” Human brain Mapping 30. no 4 April 2009. 2. The Tapping Solution – A revolutionary system for stress free living. Nick Ortner Hay House 2013.